What I would give to have your talents! It must be nice to be good at so many things! Gifted children and adults are accustomed to hearing these comments. Many possess multiple and diverse talents and abilities. Math and music. Art and languages. Mechanical skills and writing. Often labeled as possessing multipotentiality, they have their choice of various educational and vocational paths. But is this a blessing or a curse? Although gifted children delight in their many talents when they are young, they eventually confront the limits that time, money and energy impose. There are only so many activities or extracurriculars they can join (or their parents can afford). When faced with making choices, they learn how to let go, and often mourn what might have been. While some research claims that multipotentiality is not especially common, many parents of gifted children would beg to differ. They see the decisions their children face - both small (what after school activity to select) and large (which career path to choose). Even when children have one overriding passion that drives their long-term goals, they still may harbor nagging doubts about the talents and skills they left behind. 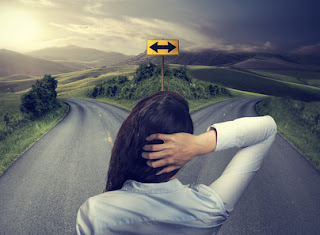 Making choices can be a burden, and realizing how this limits which fork in the road they may take, is an existential reality the gifted learn at a young age. "...'alternatives exclude' is an important key to understanding why decision is difficult. Decision invariably involves renunciation: for every yes there must be a no, each decision eliminating or killing other options (the root of the word decide means 'slay,' as in homicide or suicide)." And to many multi-talented gifted children, relinquishing a choice is, in a sense, killing off a dream - accepting that a particular option or path will never come to fruition. This can result is confusion, guilt, anxiety and grief. While some may find creative solutions that combine what they love, others may not. "Existential depression arises from idealism, disillusionment, and feelings of alienation, emptiness, and aloneness, and it is more common among gifted individuals. The gifted become depressed particularly because their high intellect allows them to contemplate the cosmos and their very small place within it." will engage their sense of meaning and purpose. If they can identify a path that includes the three components listed above, they may feel less burdened by nagging doubts about "what might have been." Yes, choices exclude. But encouraging gifted teens to forge their own path will alleviate some of the existential pressure and guilt they already feel. What do they value most in life - and how does it apply to their goals? Is it creative expression? Investigative discovery? Helping the underserved? Advancing scientific knowledge? Finding solutions to difficult problems? Which of their interests and abilities translate into work they would find engaging and meaningful? Some of their talents may not lead to a paying job that is compatible with their goals. An artist, for example, might not want to work for an ad agency or sell paintings in a gallery. Of all possible paths, which one would best provide an engaging, creative and purposeful existence? How might they spend their day? What, exactly, would they do at work? How will work enlist the intellectual/creative/behavioral capability(s) from which they derive the most meaning? Is creative expression essential? Scientific discovery? Leading a team to develop a new solution? Detailed problem-solving? Helping the underprivileged? What abilities and skills do they long to express? Which skills do they envision using - for example, mathematical, writing, linguistic, scientific, musical, spatial, reasoning, creative design, interpersonal, empathetic, investigative, strategic planning - to accomplish said goals? It may not be the content of what they do, but how they work, who they will interact with, the freedom to express themselves, and how it will serve their goals and what they value most. Do they have an overriding passion that they must pursue? Some feel compelled to follow a career direction or "calling," and cannot imagine any other choice. Many artists, actors and musicians who choose a financially uncertain path claim that they had no other option. They could not envision a life without their art, despite the potential for hardship. Even for some with multiple talents, the choice can be clear. Can they envision some compromise or means of accommodating their varied interests? While choosing a career and relegating a secondary interest to a hobby is commonly suggested, many with multiple talents devise more creative solutions. These might include sequential career changes, side jobs, or integrating their multiple talents into their chosen career field. For example, creative writing skills can be a plus in almost any career. Artists bring perspective-taking skills to problem-solving in business. Musicians find that their "sense of rhythm and flow" enhances both interactions with colleagues and the strength of their writing. Mathematicians bring precision, clarity and spatial ability to most tasks. Rather than a burden, many eventually come to view their multipotentiality as a bonus, and see how it enhances much of what they do. Even seemingly dissimilar strengths, such as math and art, share commonalities that can enliven and enrich their academic interests, career, and personal lives. Once they resolve their confusion and grief over roads not taken, most gifted individuals with multiple abilities appreciate their opportunities and find creative solutions that enlist and combine their talents. Thank you. This makes sense. When you have too many gifts - you have too many choices sometimes. I never thought of this as an existential dilemma, though. Anonymous, You're right. It might seem different to frame this as an existential dilemma. But gifted people with multiple abilities often feel torn, and sometimes feel both internal pressure and outside encouragement to pursue a range of options, resulting in anxiety and guilt when they have to let go. Thanks for your feedback. I appreciate how you give permission to acknowledge the loss that a decision brings, and to grieve it. So often we humans are told, "Just make a decision and move on", when for many gifted kids, youth, and adults, it isn't always so easy. Heather, Thank you. Yes, accepting the loss is so important, and offers more clarity with the decisions they have to make. I appreciate your feedback. Thanks Gail. I really appreciate your perspective. I like your idea of choosing a path. I think the what might have been can be the most difficult wrestle with multipotentiality. Longing for that if only has been a struggle at times for me in the past. Appreciating the path that I am on now, for what it is, even amid bumps and roadblocks has been the key to me enjoying my journey so much more. Jen, So glad you found peace by appreciating the path you have taken. It's so hard to accept that we have to choose a particular path and give up other possibilities. Thanks so much for your comments. Love the Yalom quote, Gail. I was just talking with a client today about her difficulty with decision making. Not just about a career but about so many things. I'll have to share this quote with her! Thanks for including my blog post in your list! Paula, Thanks. I agree that Yalom sums it up so well - really gets to the basic pain involved with making choices. I always appreciate your writing, and of course, your generous comments! This is one of the most cogent articles I've read in the gifted community regarding the challenges of multipotentiality. One aspect of being multi-gifted for me was always feeling like the odd (wo)man out. Once I worked as a technician among mostly male biologists, and I always felt I needed to stifle my excitement and enthusiasm for the neat stuff I was learning about water quality management. I'm sure they felt I was 'odd'. On the plus side (there is usually always a plus side! ), I ended up moving into a position more suitable for my personality. I became an 'Educator' and outreach specialist. This position was much better suited to me because it utilized my communication skills much more fully than the technician job. Also just wanted to recommend a really neat DVD, 'They Came to Play'. It's a documentary about pianists who, as older adults (35+) enter an international competition. They include a retired physicist, an ophthalmologist, an MD, a college professor, among others. My point being, we're often lucky enough to become professionals in a field because we're kinda smart, but also maintain and pursue our artistic passions, if later in life! Beth, Thanks so much. I'm glad you found a position at work that is suited to your abilities. Will have to check out that documentary also! This article actually made me cry because it exactly describes in which situation I am in right now. A decision FOR something is a decision against a thousand other things. How can somebody actually do that with confidence? How can I neglect 3 talents for 1 other talent? And how do I make something that makes the world a better place with it? It can bring you pretty far down. Probably only fellow brainiacs can relate to that. Anonymous, I appreciate your comments and am sorry your have this dilemma. Hopefully, you will be able to find the one path that stands out above the others and find a way to incorporate the others. Good luck!